It's not very often you hear people wishing things were harder, but in the world of gaming a good challenge is appreciated every now and again. Just because a game is ruthlessly difficult doesn't mean that it's a bad game. In fact, a game's difficulty could be what makes it truly great. Levels get harder as time goes on. 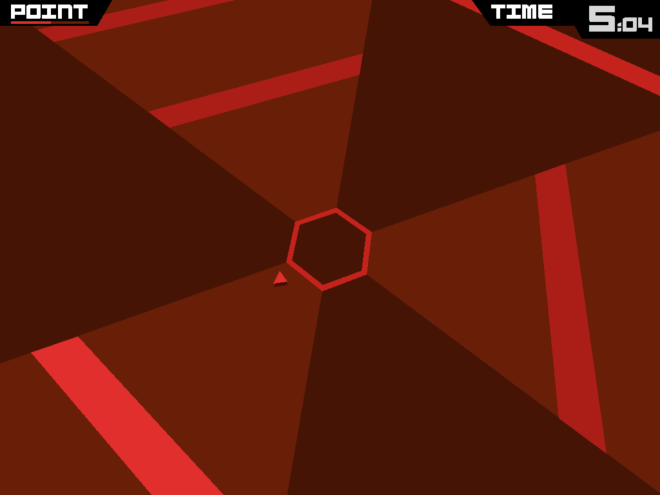 Super Hexagon for iOS is a great example of an unrelentingly tough game that keeps you crawling back for more. The game sounds simple enough: You control a small triangle and you must dodge everything that's falling towards you. The longer you can stay alive, the more points you earn and the more stuff you unlock. What makes the game so difficult, though, is the fact that the screen constantly spins while you try to evade incoming objects. Objects come down faster with time, so you'll need to have fast reflexes to ensure your triangle survives. Much like Super Crate Box (another great iOS game), Super Hexagon is all about seeing how long you can stay alive. The game will do everything in its power to kill you, and it can be quite humbling when you find out how quickly it can accomplish its task. Even on the lowest difficulty settings, inexperienced players can expect to be wiped out in mere moments. With no power-ups or any other sort of handicaps to help you, how long you survive in Super Hexagon really just boils down to how fast you can move your fingers. 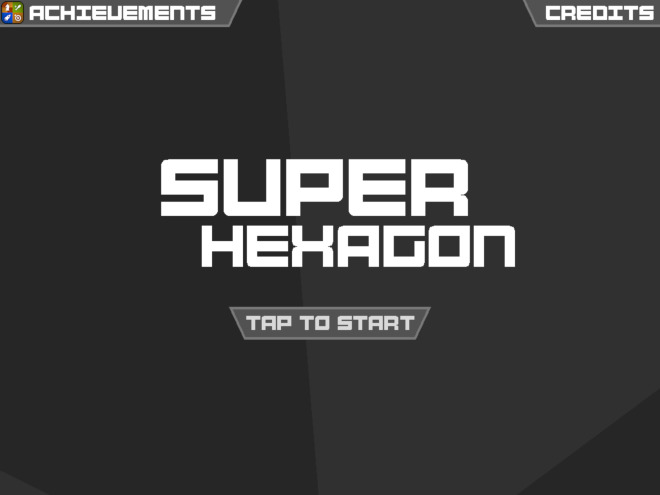 Soundtrack: If you're a fan of electronic beats and hard bass, then you'll definitely enjoy the soundtrack in Super Hexagon. The music varies between levels, with harder stages playing music with faster tempos. This is one game you'll definitely want to play with headphones on. Skills required: Unlike so many mobile games out today, you'll actually need to have some real skill in order to be successful at staying alive in Super Hexagon. You can't just randomly tap on the screen and expect to survive for longer than three seconds. If you're a fan of games like League Of Evil or Canabalt, I think you'll appreciate the level of skill you'll need when playing Super Hexagon. 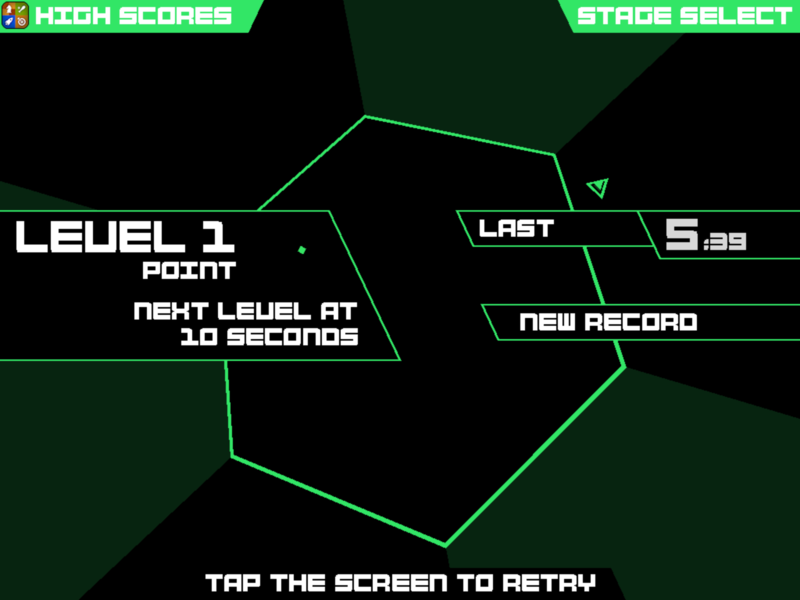 Addictive: Even though it's ultra-hard, there's just something about Super Hexagon that makes you want to keep playing. You can die more than a thousand times, and the game will keep you coming back for more. The more you play Super Hexagon, the better you get at it, and the longer you'll be able to stay alive. You'll be able to unlock newer, even more challenging levels, and there's just something so satisfying about beating your previous high scores. This is a game that you can very well play your entire commute, or until your iPhone runs out of juice. 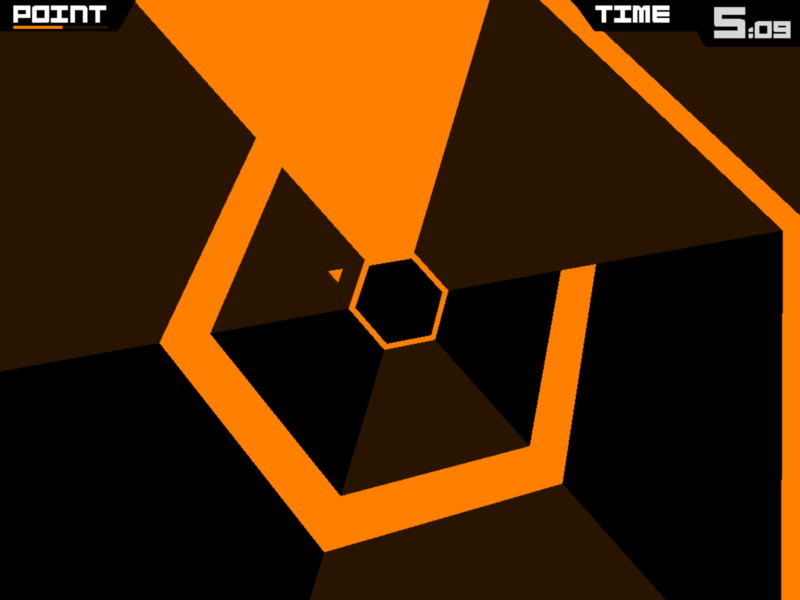 This story, "You Should Play: Super Hexagon" was originally published by TechHive.